Rafael Valdivia was born November 22, 1887 in Rosario, Argentina. His father, also named Rafael Valdivia, was born in Argentina of Spanish ancestry. His mother, Mercedes de Aurrecoechea, was born in Spain of Basque ancestry. His parents had two children, of which he was the first born. 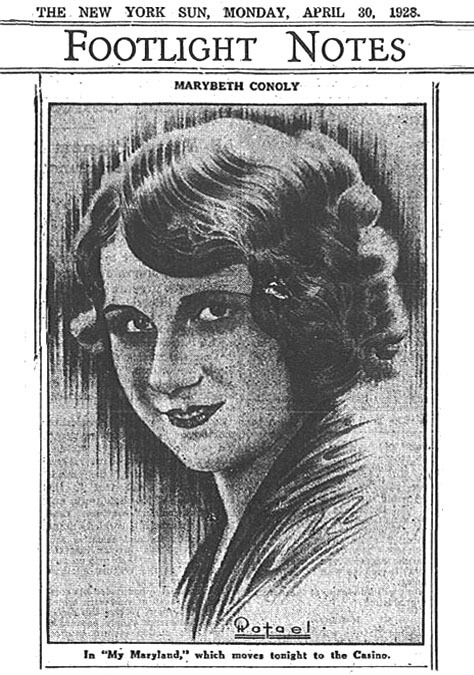 His younger sister, Mercedes Valdivia, was born in 1903. In 1904 at the age of eighteen he began to study at the National University in Buenos Aires, Argentina. In 1907 his father died. This tragic loss also brought new responsibilities to the eldest son to support the widowed mother and younger sister. By 1908 he quit school and began to work as a ship's steward for the Hamburg-American Shipping Line, which steamed between Buenos Aires and Frankfurt, Germany. One extra advantage of this work was shore leave in Europe, where he was free to visit art museums and study art. In 1913 during the decade of the Mexican Revolution, he and his mother and sister left Argentina and moved to Mexico. They lived in Mexico City. He worked as a dining-car steward for the Mexican Central Railroad. Oddly enough, his train was commandeered one day by the famous Mexican Revolutionary Jose "Pancho Villa" Doroteo Arango Arambula (1978-1923). 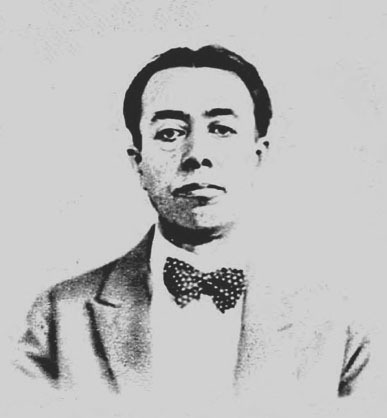 After his twenty-eighth birthday in 1915 he left Mexico City and traveled by train to the border town Juarez, where on January 1, 1916 he crossed by trolley into El Paso, Texas, U.S.A. He worked in El Paso as a chauffeur and he lived at 690 East Missouri Avenue. On June 5, 1917 he reported for draft registration as required by law during the Great War. He was recorded at the time to be medium height, medium build, with gray eyes and dark brown hair. His occupation was listed as chauffeur. On October 20, 1917 he was listed in The El Paso Herald newspaper as a recipient of a State Chauffeur's License #44561. In December of 1917 his younger sister, Mercedes Valdivia, died of illness at the age of twelve in Mexico City. In 1918 he left El Paso and moved to Buffalo, New York, where he worked in a steel mill. On weekends he took art classes at the Albright Art Gallery. In July of 1918 the museum presented the 12th Annual Display of American Painting, which included work by Francis Luis Mora (1874-1940), a Uruguayan-American artist and teacher at the Art Students League of New York, who illustrated stories for Harper's Weekly, Scribner's, The Century, and Ladies Home Journal. 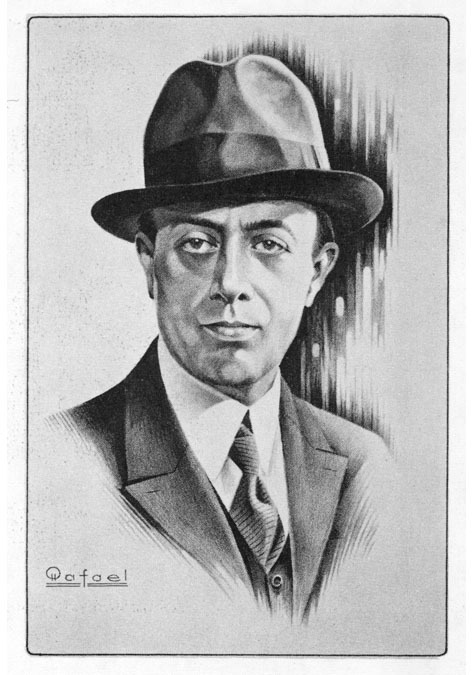 In 1919 Rafael Valdivia left Buffalo and moved to New York City to seek his fortune as a commercial artist. He lived at 120 West 99th Street on the Upper West Side of Manhattan and studied at the Art Students League with Francis Luis Mora. In 1920 he began to work as a staff artist at an advertising agency, where he designed posters, newspaper ads and business logos. In his free time he drew complex and imaginative portraits of famous celebrities, which were published by an Argentine magazine that was also distributed in Mexico, Madrid and Paris. 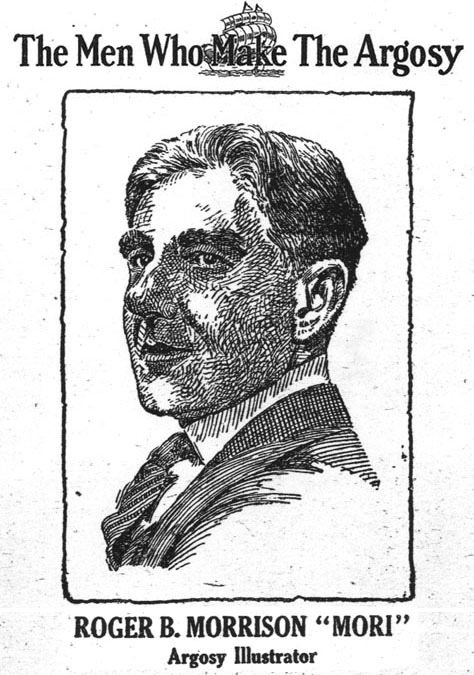 In 1925, while designing newspaper ads, he met Keats Speed (1879-1952), the legendary editor of The New York Sun, who invited him to join the staff. The newspaper was located at 280 Broadway in Lower Manhattan. 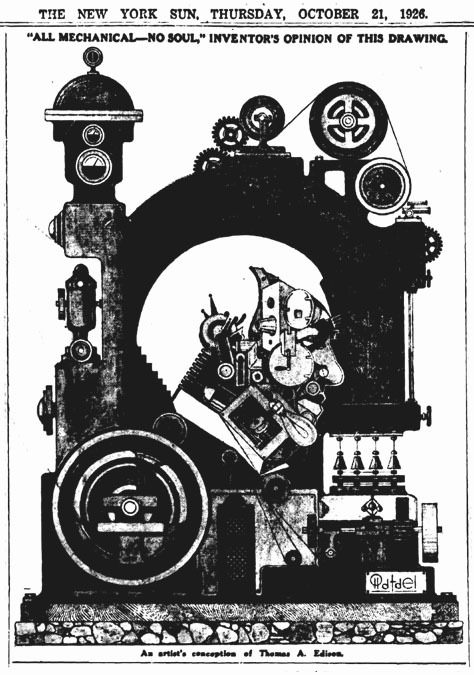 It was owned by Frank A. Munsey (1854-1925), who earned a fortune publishing pulp magazines, such as Munsey's Magazine, The Argosy, All-Story, Railroad Man's Magazine, and Detective Fiction Weekly. Several artists whose work appeared in Munsey pulps were regularly featured in The New York Sun or its syndicated Sunday Supplement Magazine, such as Armstrong Sperry, Casper Emerson, Samuel Cahan, Louis F. Grant, Roger Morrison, Paul Stahr, William McNulty, and Stockton Mulford. Rafael Valdivia joined the staff of The New York Sun and drew impressive portraits of newsworthy personalities, politicians, courtroom criminals, celebrities and sports stars. 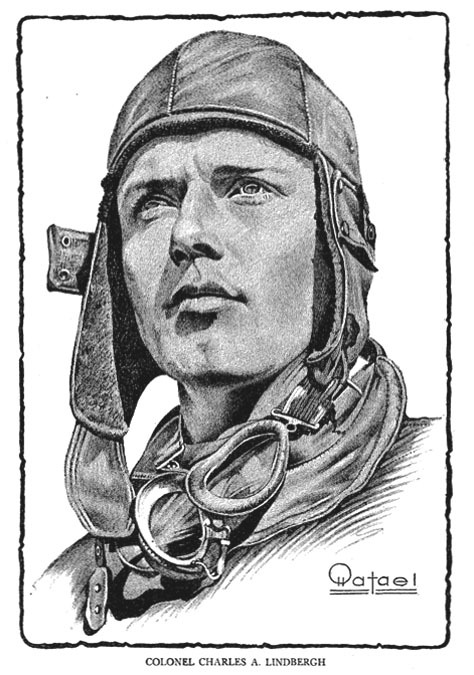 All of his illustrations were distinctively signed with only his first name "Rafael." On March 14, 1926 he married Lucilla Gnecco Mozo in NYC. She was born March 16, 1892 in Santa Marta, Colombia, and had immigrated to the U.S.A. in 1924 to work at the Colombian Consulate in New York City. The newlyweds moved to 3436 Seventy-fourth Street in Jackson Heights, Queens, NY, where they raised three children. His son Rafael Valdivia, Jr. (b. August 26, 1926), daughter Lucy Valdivia (b. August 8, 1928), and youngest son Fernando Valdivia (b. June 13, 1930). 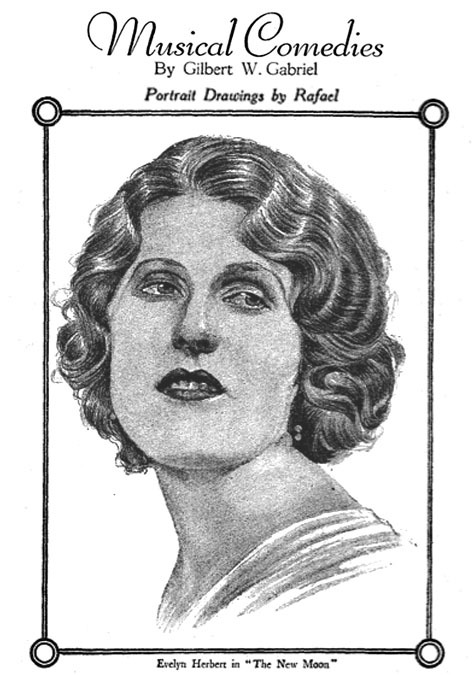 Along with his steady work drawing portraits for The New York Sun, Rafael also contributed portrait illustrations to several of Munsey's pulp magazines. 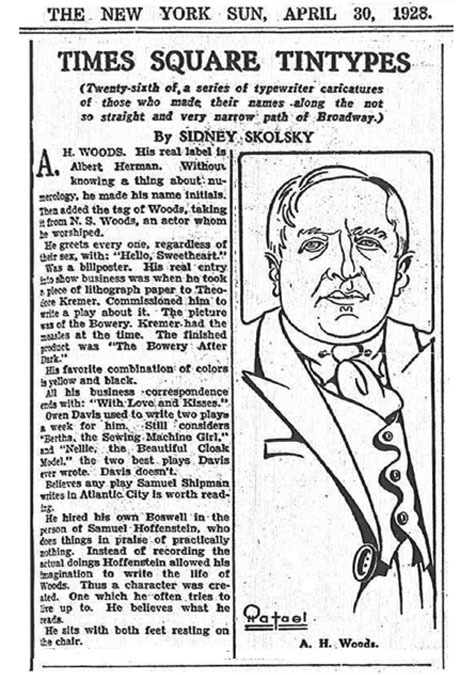 He drew portraits of theatrical personalities as a regular feature in Munsey Magazine. 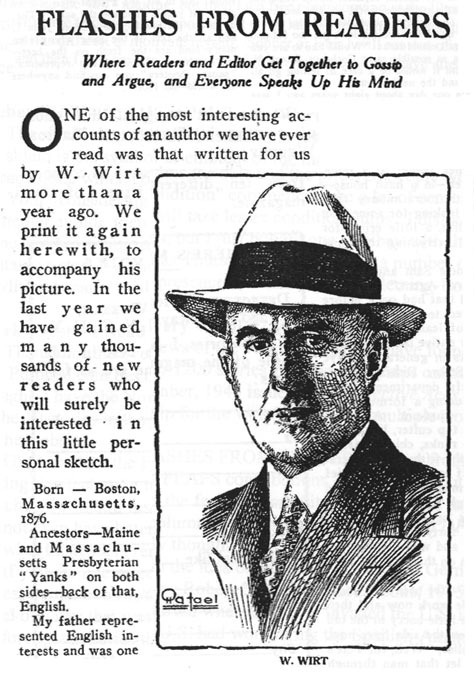 He drew portraits of notable contributors to Detective Fiction Weekly for a regular feature entitled, Flashes From Readers. 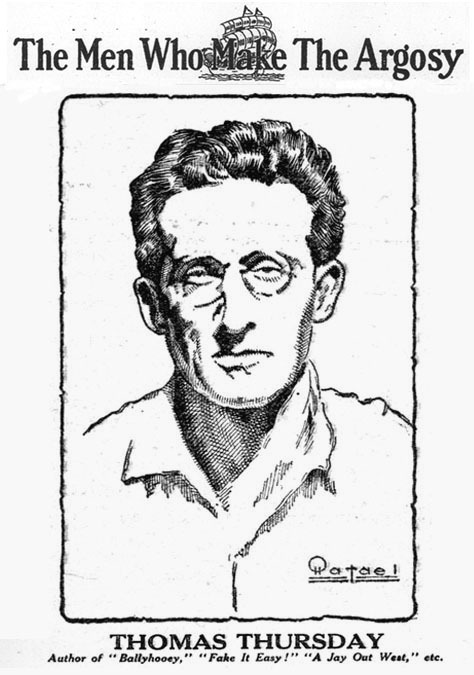 He also drew portraits of special contributors to The Argosy, which appeared in the feature entitled, The Men Who Make The Argosy. 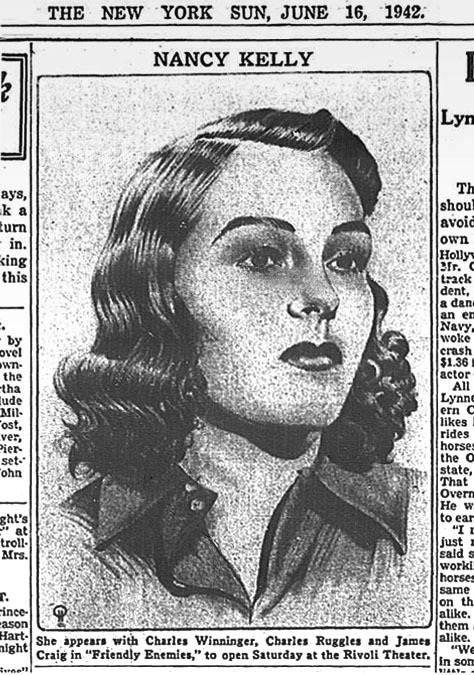 His portraits of Paul Stahr and Roger Morrison are the only known images of these pulp artists. On May 6th 1933 The New York Sun reviewed an art exhibition organized by member of the Columbian Newspapermen's Society at the Hotel Astor. 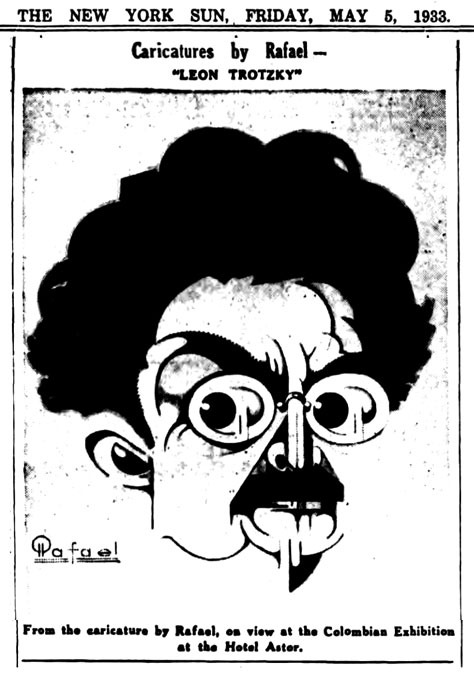 "There will be a group of notable caricatures by Rafael, who is well known to readers of The Sun through his accomplished and penetrating portraits, which are a feature of this paper. His caricatures, now shown for the first time, will introduce him to the public in a new and telling role. They are international in scope and include celebrities in this country and abroad." During WWII he was fifty-five years old so he did not serve in the military. The artist continued to draw portraits of newsworthy celebrities for The New York Sun for the rest of his life. 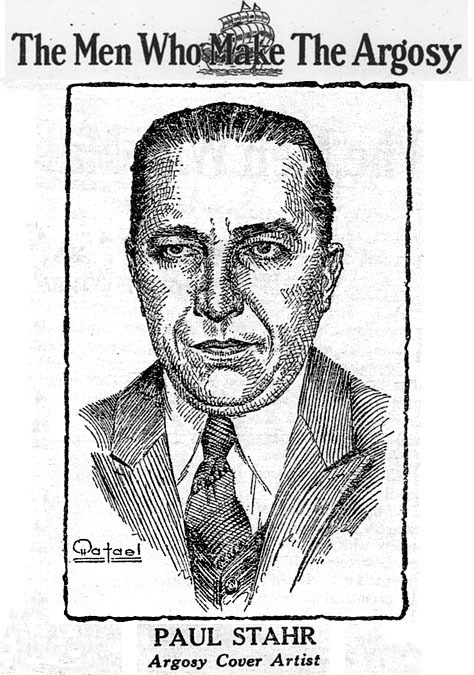 Rafael Valdivia died in St. Anthony's Hospital in Woodhaven, Queens, NY, at the age of sixty-two on April 19, 1949.